"An intimate and alluring soiree of sights and sounds in the decadent surroundings of the luxurious Gore Hotel cellars and lounge. 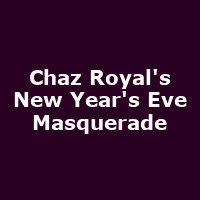 Don your most magnificent disguise, unleash your inhibitions and join us for a NYE like no other! Proceedings include a selection of sensual and enticing Cabaret and walk about performances hosted by 'Maestro' Mister Meredith, and a late night dance party with Cabaret's Finest Theatrical DJ Duo, The Roustabouts! With their unique blend of eclectic and eccentric audio oddities, the captivating hands-on performance subverts expectations with an impressive collection of Classic Jukebox Gems, Electro-Swing and irresistible Guilty Pleasures, old and new, mashed in manner like you've never heard before!"